Are you curious about community engagement at Cornell? 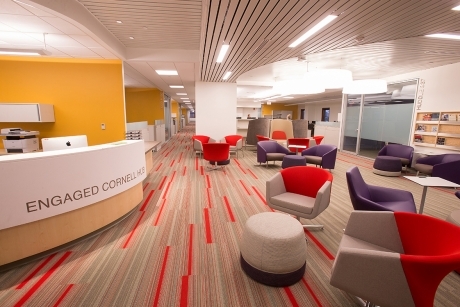 Come visit the Engaged Cornell Hub! 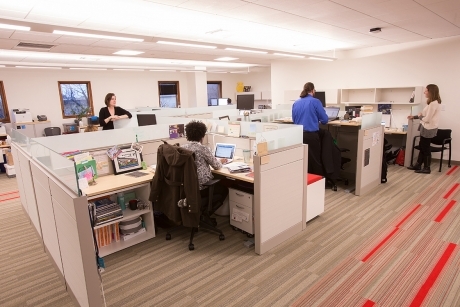 On the third floor of Kennedy Hall, the Hub houses nine programs and units that support Cornell’s mission of public engagement. In this open and collaborative space, students, faculty, staff and community partners can learn more about and become involved in a variety of engagement opportunities on and off campus. TCAT buses serve the Kennedy Hall bus stop and the nearby Corson/Mudd Hall stop. For information about parking on campus, visit the Facilities and Campus Services website. For more information, email engagedcornell@cornell.edu or call (607) 255-6006.